Some stories to wrap up the week. I'm wiped! Rude Pundit tells us why, even if it gets built, Trump's idiotic wall will not accomplish anything (I don't, and never have thought, it will ever be constructed). Also, for some reason, he swears less than normal. I'm surprised nobody else caught this, but the White House plagiarized its Holocaust Remembrance Day statement. I wonder if Meredith McIver wrote it? 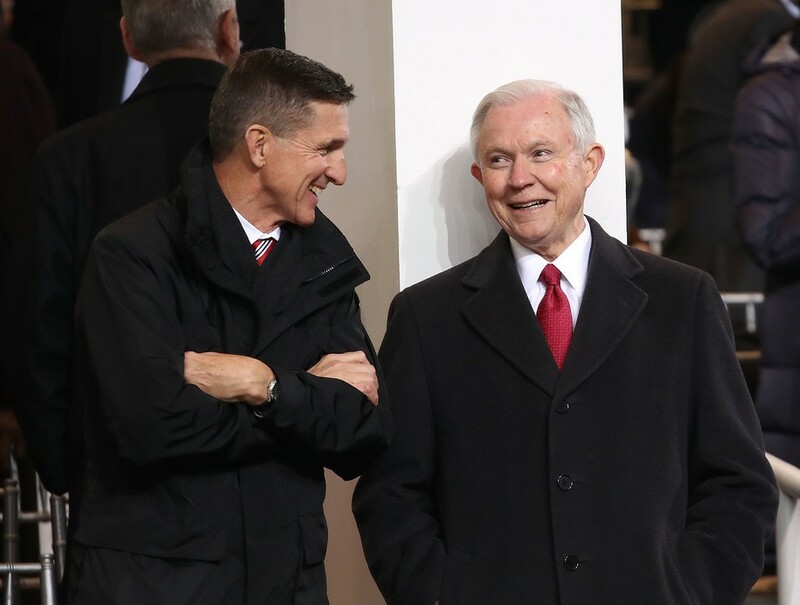 Jeff Sessions is recusing himself from investigating Mike Flynn. Will he have to recuse himself from investigating himself soon? Steve M. at No More Mister Nice Blog points out that Trump basically admitted today in another bizarre interview that he isn't qualified to be President. Well, at least he's a little self-aware. I will be canceling my subscription now, @nytimes . No longer do we get the hourly lecture that WE SHOULD NOT FOCUS ON TRUMP'S TWEETS THEY'RE JUST A CUNNING DISTRACTION. They are what they are: a cranky old guy yelling things at the television while watching Fox News. Yes, he happens to run the world, but still.